Dr. Jin Zhang co-founded PhiChem Corporation in 2002. He currently serves as the Chief Executive Officer and Chairman of the Board of Directors for the company. Under his leadership PhiChem has grown to become one of the world’s largest suppliers of fiber coating products to the fiber-optic industry, and is an emerging player in the electronics materials market. 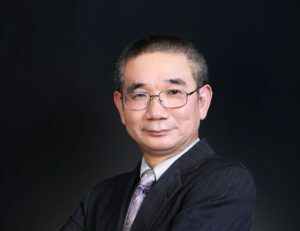 Prior to founding PhiChem, Dr. Zhang was a Senior Reliability Engineer at Digilens, Inc., in Silicon Valley, California, where he worked on developing optical and laser materials and components. Dr. Zhang also held senior engineering and program management positions at Motorola’s Schaumburg, USA and Lawrenceville, USA facilities. At Motorola, he lead key initiatives in the areas of integrated-circuit and microelectronics packaging, reliability testing, battery materials, failure analysis, process development, and technology transfer. Dr. Zhang’s received a PhD from the University of Michigan, Ann Arbor, specializing in the area of Polymer Materials. His educational background also includes an MS degree in Optics from Shanghai Institute of Optics and Fine Mechanics and a BS in Chemistry from the East China Normal University in Shanghai, China. Dr. Zhang is a co-author in more than 10 issued patents, and over 20 scientific publications. Mr. Gene Howard Weiner serves as the Chairman of PhiChem’s Advisory Board and has been influential in initiating and growing the company’s business in the electronic materials sector. Mr. Weiner is president of Weiner International Associates, a business and technical consultancy serving the specialty chemical and electronics industries. The clients of Weiner International Associates have included several Fortune 100 companies. He is also a member of the Board of Directors of Wong’s Kong King International (Holdings) Ltd. a broad-based public company that has interests in several business sectors of electronics manufacturing including distribution of supplies and equipment as well as assembly services. Mr. Weiner’s executive experience includes several senior-level positions in electronics materials companies, including that of Director and President of New England Laminates Co. Inc. (subsidiary of Park Electrochemical), a leading supplier of copper clad laminates to the electronics industry. He is a member of the Advisory Board of the MBA program of the Malcolm Baldridge School of Business at Post University. Mr. Weiner is a founding member of the SMTA (Surface Mount Technology Association) has been inducted into the IPC Raymond Pritchard Hall of Fame, the industry’s highest award and recognition. In January 2014, he was named a member of the IPC’s Ambassadors Council. Gene is also a member of the Board of Trustees of the Plymouth Philharmonic Orchestra, in Plymouth, MA.